At 287 square feet, this rustic tiny home has two lofts, a functional kitchen, bathroom, and cozy reading nook. It’s the details that really stand out in this tiny. 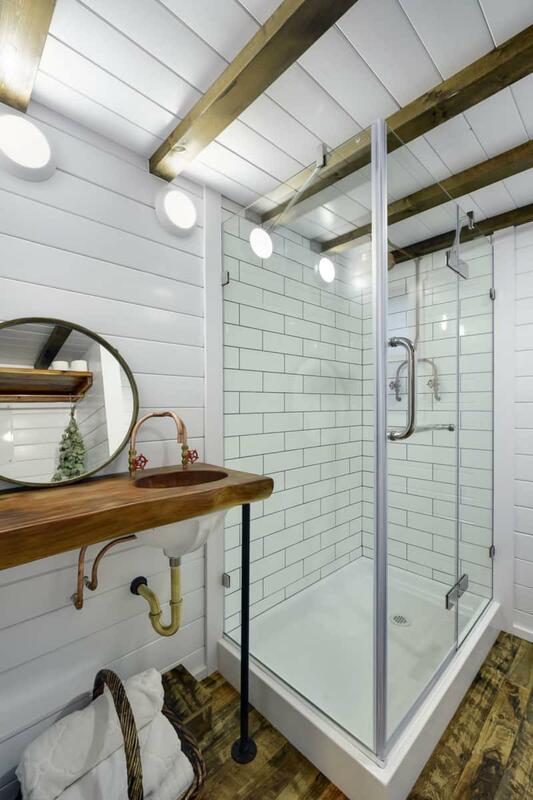 From the copper kitchen sink and clever bedroom storage, to the sliding barn door. 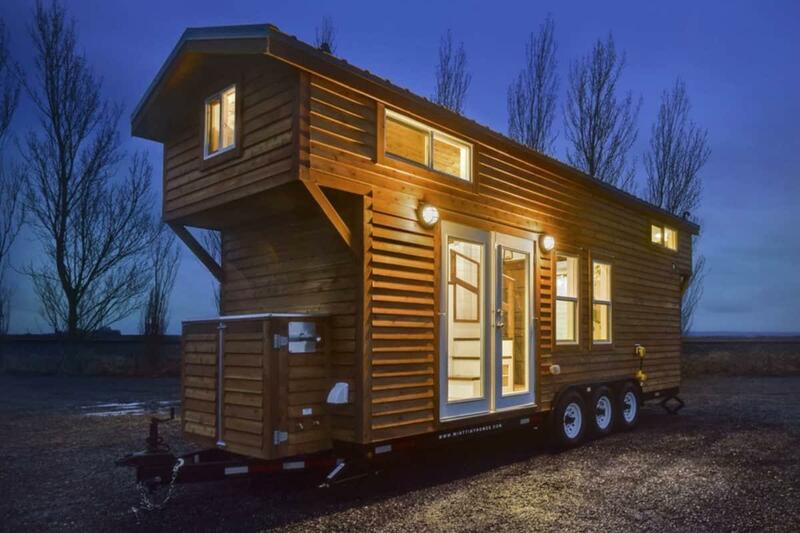 This is the perfect tiny home for the homeowner who wants to downsize in style. Although small, this compact kitchen has everything one could need for food prep and cooking. 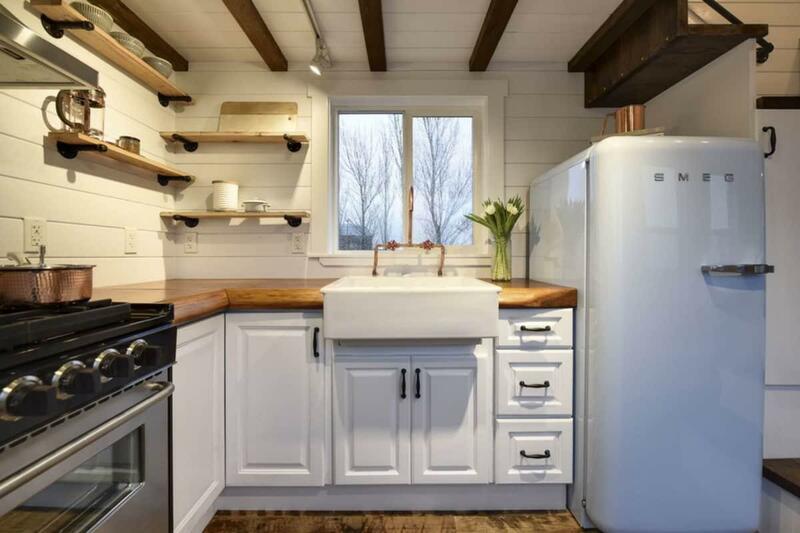 What really makes this tiny kitchen stand out, is the attention to detail and the fact that it’s tucked beneath a loft–truly a great use of space. A lovely corner kitchen with appliances that fit the space. 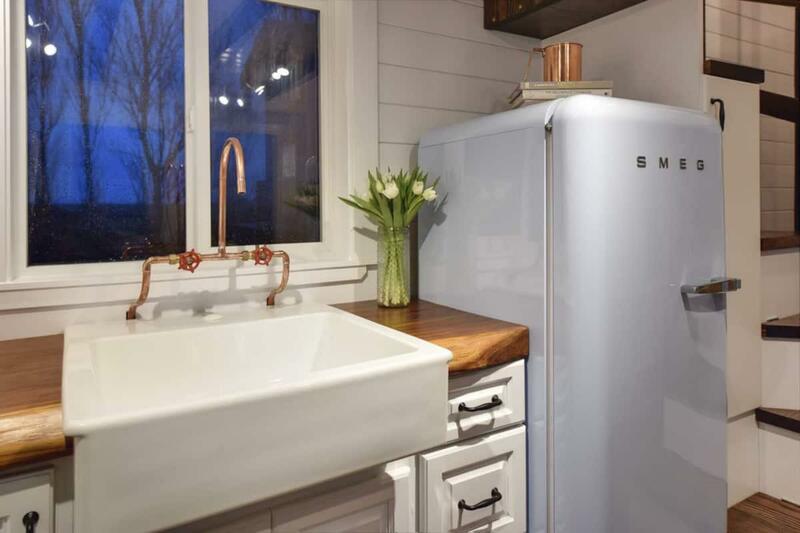 A closer look at the Smeg fridge and copper piping on the sink. Not the largest of living rooms, but lovely nonetheless. 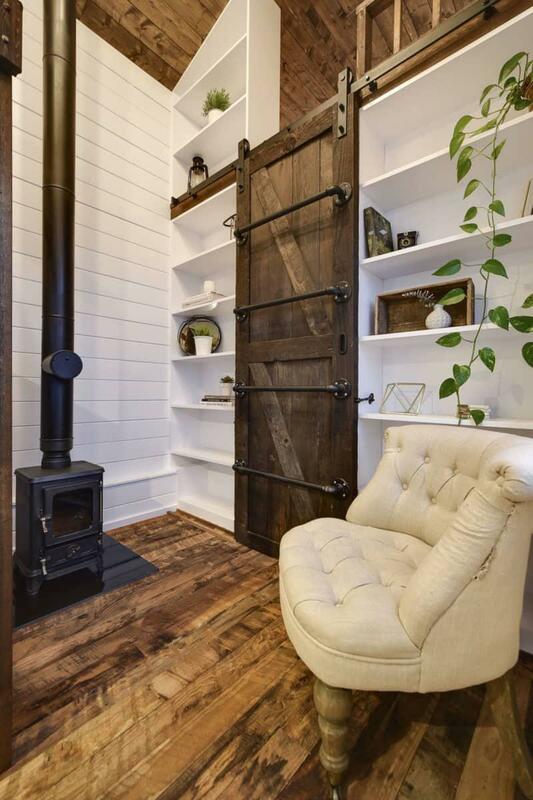 The arm chair with tiny hobbit stove is a great touch. Another living room/den option is in the second loft. The hobbit stove and cushion chair is a great spot to read by the fire on chilly nights. 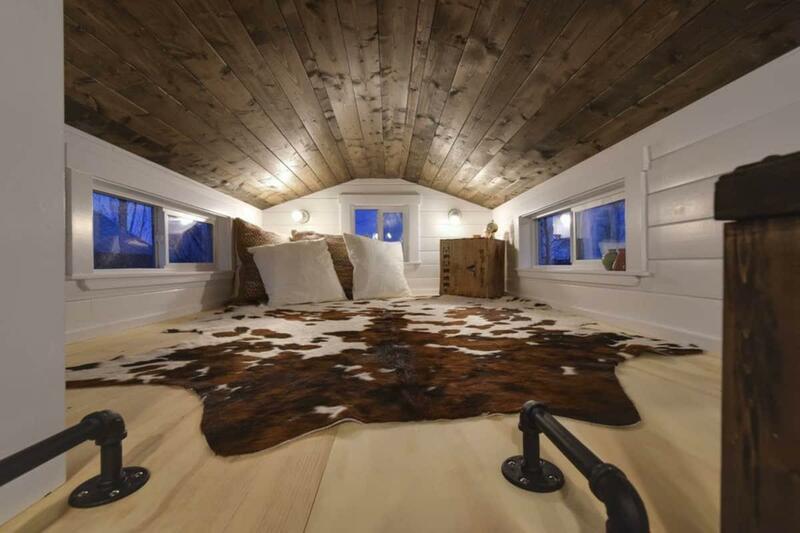 A ladder on the sliding barn door leads to this little hideaway. 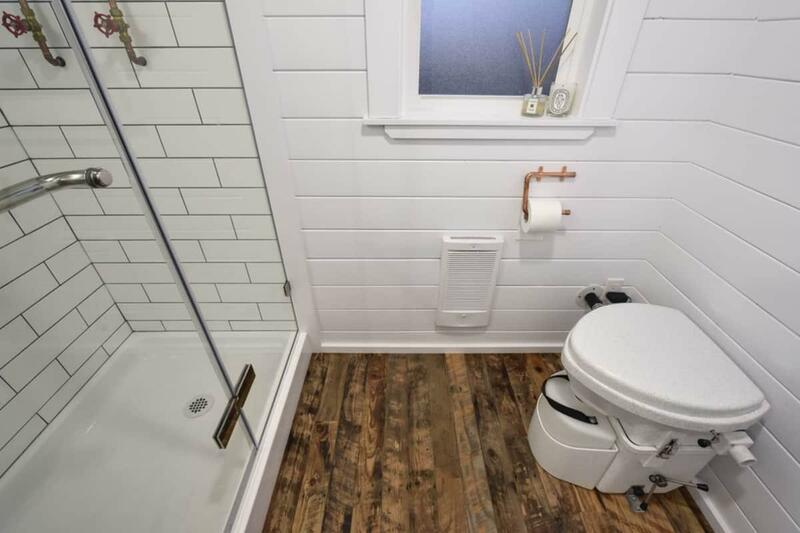 This compact bathroom can hold a walk in shower, sink, and composting toilet. The monochromatic walls and subway tiles make the bathroom feel spacious. The custom counter for the sink is absolutely gorgeous with the copper accents. 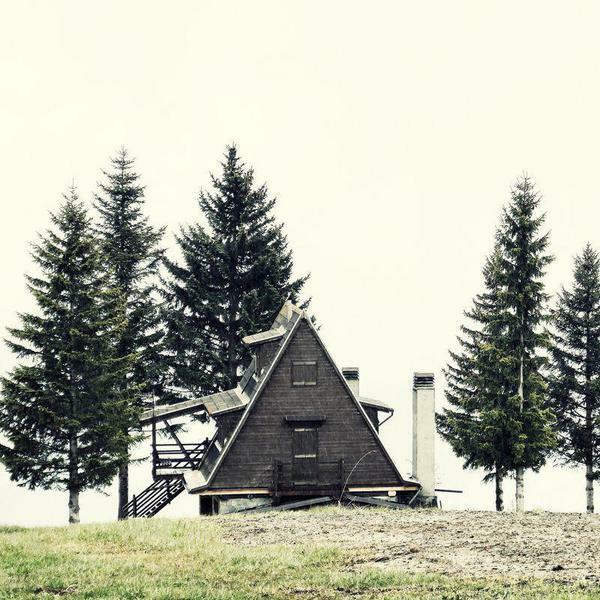 This rustic beauty can be yours for $87000. Please note; prices may vary over time. 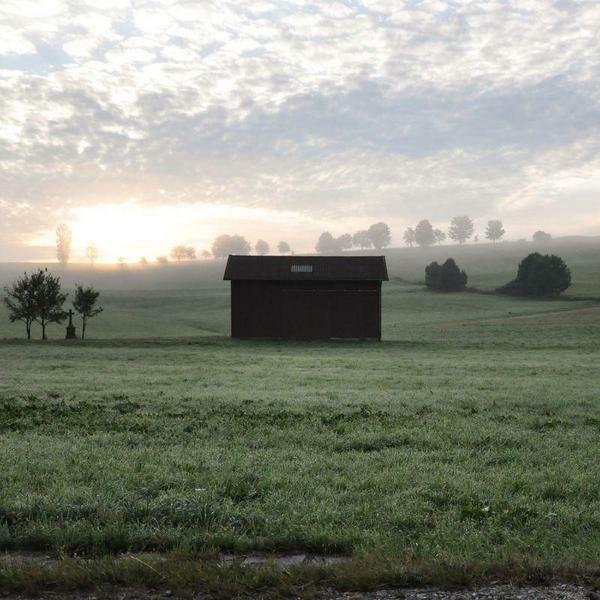 You can contact the builder here for more information.